“Where are we brunching today?” is one of the most frequent texts sent across Chicago every weekend. And with all the phenomenal choices around town, from family-friendly spots to bottomless mimosa destinations, competition is thick. Whatever the case, the last thing you want to do is sit down to a “basic” brunch. If you’re waking up earlier than necessary on the weekend for a meal—with the real possibility of waiting a long time in line—you should be treated to more than just some good food. You deserve to be in that spot that’s buzzing with brilliance. Where there’s a little entertainment, a crowd that truly appreciates where they’re dining and more. We’ve got you covered with lively Chicago brunch options certain to make you a fan forever. Why We Love It. BOHO is simply a beautiful space. It embodies that, yes, boho chic vibe that effortlessly blends Old World European charm with modern American décor. The light fixtures and reclaimed hardwood are something you’d see in a traditional German beer hall while strategically placed tapestries and artwork look like they belong in a socialite’s collection. There’s so much to absorb here at BOHO that you’ll want to take Instagram photos just to reminisce for weeks to come. What To Eat/Drink. Brunch feels very special at BOHO. An extension of the dinner menu, it’s comprised of original dishes inspired by the Czech Republic, Germany and Austria. Guests should start off with an order of potato pancakes topped with sour cream and house-made apple preserves or signature grilled bacon, which is marinated in dark lager syrup and accompanied by raisins and gingersnap crumbs. 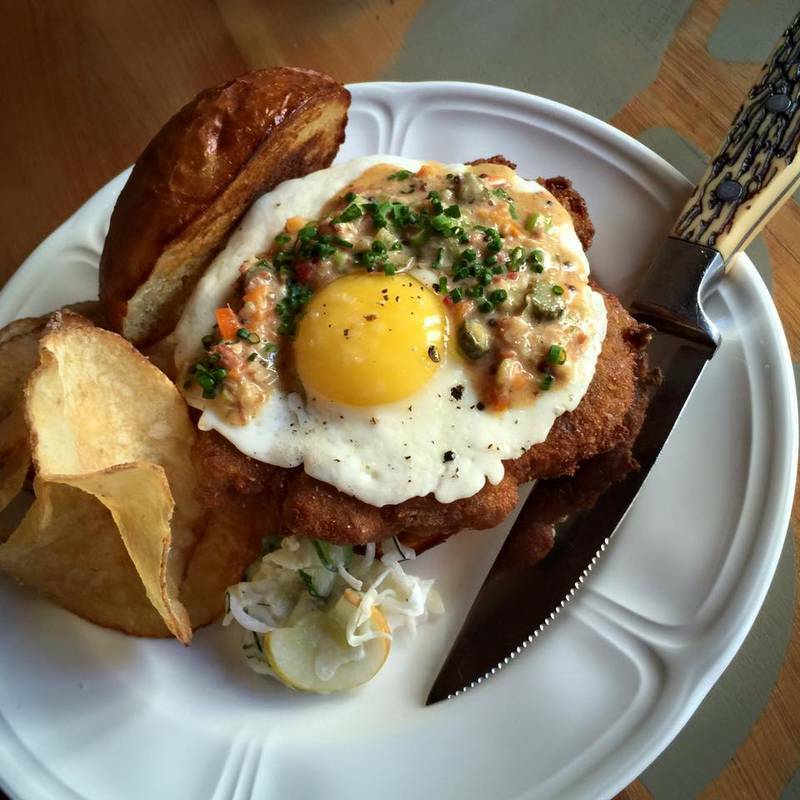 For a main entrée, the open-faced pork schnitzel sandwich is a hit. It’s topped with a fried duck egg, horseradish cream and sauerkraut. When To Go. Brunch occurs 11:30 a.m.-2 p.m. Thursday, Friday (There’s a prix-fixe brunch menu available for $23 on these days); 10 a.m.-2 p.m. Saturday, Sunday. Why We Love It. Broken English launched its first location downtown in 2016, and since then, outposts have popped up in Lincoln Park and Old Town. Brunch is now available at all locations, which boast vibrant and quirky settings that take Mexican pop culture to the next level. 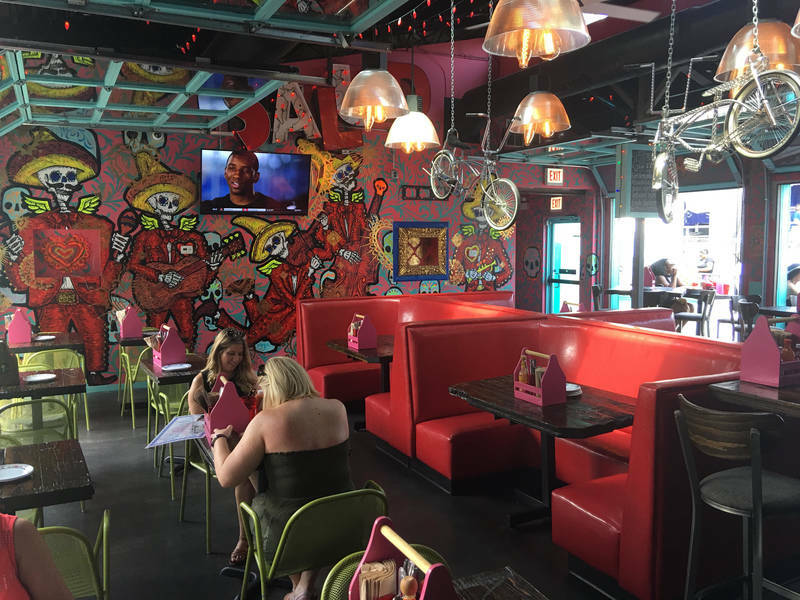 The walls are decorated with funky street art by famous Mexican artists, and they depict images of wrestlers in masks and street culture. At the Lincoln Park restaurant, there are tricked-out, low-rider bicycles and whimsical piñatas hanging from the ceiling like chandeliers. What To Eat/Drink. Drink menu highlights include a Bloody Maria that comes with a choice of tequila or mezcal, with house-made Bloody Mary mix, tajin rim, cilantro, cotija cheese and a chorizo garnish. Customers can pair those with dishes like the chorizo and egg taco; Mexican-style chicken and waffles topped with chorizo gravy, fried egg and sweet churro waffle; and grilled steak hash topped with salsa casera. When To Go. Brunch happens 11 a.m.-3 p.m. Saturday, Sunday. Why We Love It. Feeling a little honky tonk in the a.m.? 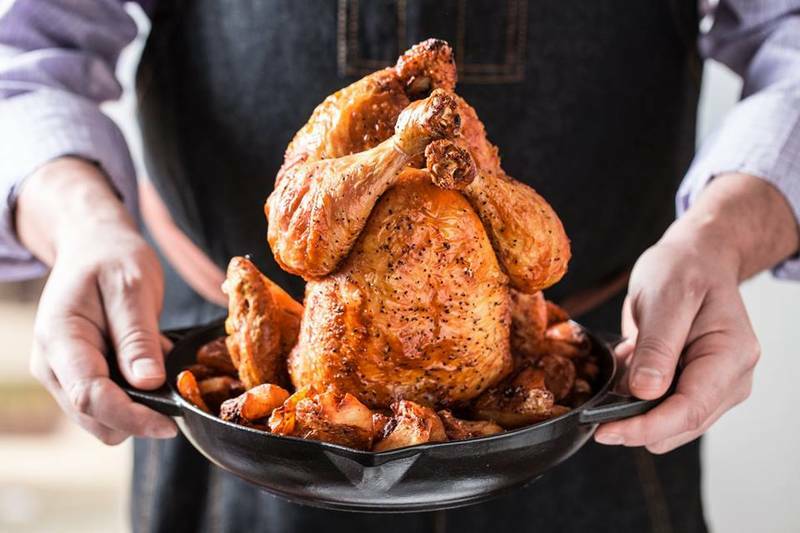 You might want to head over to this country-inspired barbecue joint for down-home vittles served with a smile, plus country music bands performing at noon. What To Eat/Drink. 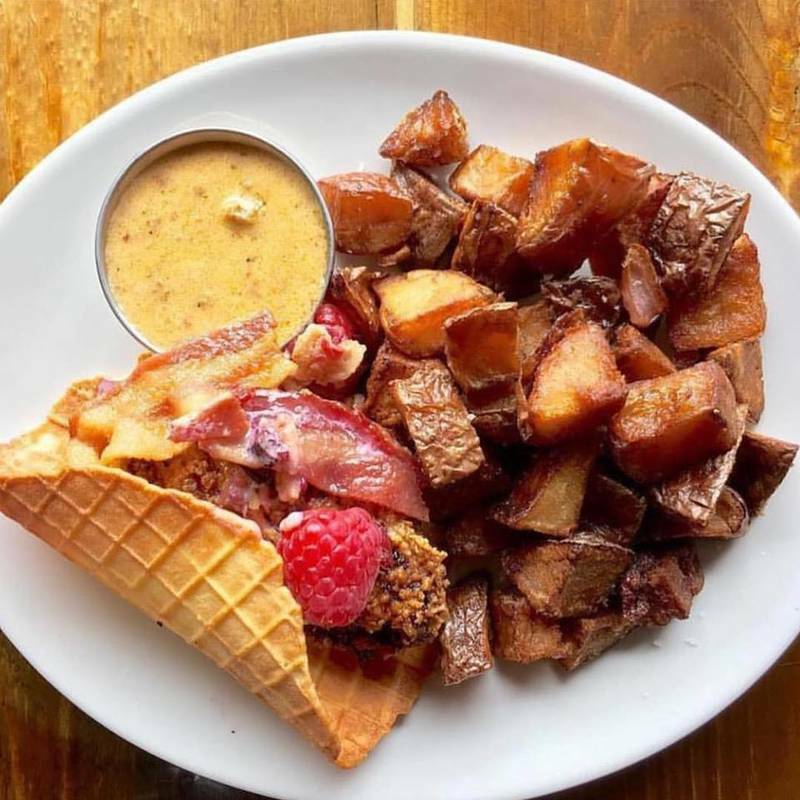 Pro tip: Order "brunch & three" for an entree (choose from cheesy chilaquiles, breakfast BLT or a brisket burrito) and three of the sides like BBQ bacon, Texas hot link, griddled ham or crispy tots. It's only $16.95 with coffee or sweet tea. There’s also a build-your-own Bloody Mary bar where guests may choose a liquor, fixings and rim. It’s $12 per trip. When To Go. Brunch takes place 10 a.m.-2 p.m. Saturday, Sunday. Why We Love It. D.S. Tequila is very lively and attracts a young-ish crowd. No matter how down you’re feeling, you’re immediately pepped up when you read the risqué t-shirts on the staffers. There’s always a game or vintage show or movie playing on the television monitors, and people are just generally fun. What To Eat/Drink. It's appropriately dubbed "The Hangover Brunch," so you can pretty much get in trouble all over again. For about $25, guests get a brunch entrée (think burgers, skillets, omelets) paired with unlimited mimosas and Bloody Mary cocktails. Diners may also add a mimosa package to any entrée for $16, which includes one refill in a jumbo mug. When To Go. Event happens 10 a.m.-3 p.m. Saturday, 11 a.m.-3 p.m. Sunday. Why We Love It. Speaking of day parties, Fremont is the monster brunch bash throughout the year. There’s often a month-long waiting list for reservations, and it’s worth the wait. A deejay spins on the upper level and guests sometimes dance. What To Eat/Drink. The brunch buffet costs $35 per person and easily rivals the grandest hotel offerings. Highlights include smoked brisket, a waffle bar, omelet station, doughnut towers and seafood towers. When To Go. Happening 10 a.m.-3 p.m. Saturdays and Sundays. Why We Love It. Brunch is served every weekend at this laid-back eatery named in honor of Gen. John A. Logan of the eponymous square. But Saturdays get a little twangy with live Bluegrass music from local bands. On warmer days, guests may enjoy The General’s tiny backyard patio and play games like darts inside of the garage. What To Eat/Drink. It's the perfect soundtrack for those chowing down on the waffle cone and fried chicken taco or farmer's hash of smoked brisket, chicken, pork or veggie hash. There are also smoked Bloody Mary cocktails. When To Go. Brunch takes place 11 a.m.-3 p.m. Saturday and Sunday. Why We Love It. 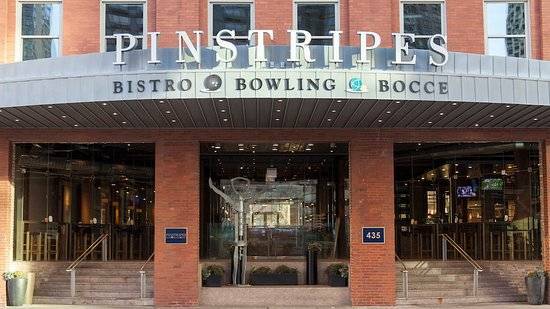 In Streeterville, only a block away from Navy Pier, Pinstripes rules the neighborhood. 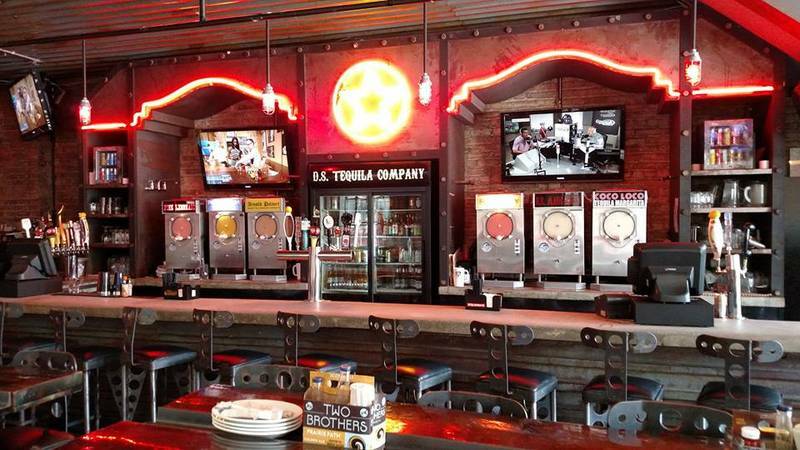 The first Chicago location, this establishment boasts 30,000 square feet, 11 bowling lanes, indoor and outdoor bocci courts, and televisions tuned into sports and news. Italian-American fare dominates the menu at Pinstripes. The modern-styled eatery and tavern specializes wood-fired pizzas, flatbreads and house-made pastas topped with home-style sauces. What To Eat/Drink. Turn up Sunday brunch for the family with buffet and bowling. 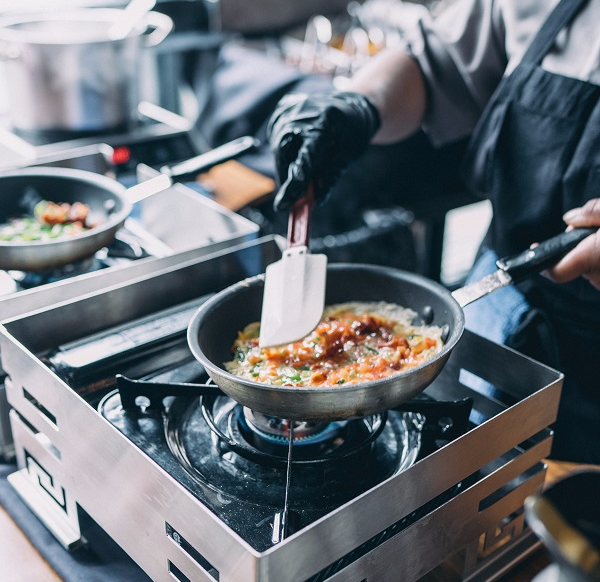 It includes a waffle station, make-your-own-omelet station, carving station with maple-glazed ham and herb-crusted prime rib, dessert table, breakfast selections and a special table for children. Brunch includes one complimentary mimosa, and there are $4 mimosas and $7 Bloody Mary cocktails as well. It’s $28 for adults, $15 for children 6-12 and kids five and under eat for free. When To Go. Brunch happens 10 a.m.-3 p.m. Sundays. Why We Love It. River Roast’s event showcases two Chicago treasures: Chicago-style blues and the skyline right off the river. Local bands perform as guests dine on re-imagined Southern dishes and roasted meats. What To Eat/Drink. 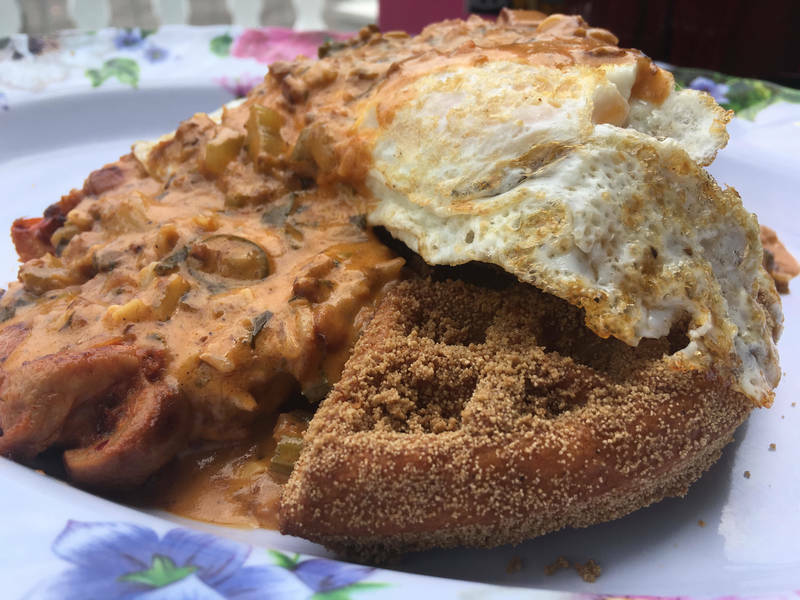 The blues-oriented brunch includes entrées such as a Low Country-style Croque Madame with gravy; fried rabbit and waffles; a shrimp-and-bacon Po’Boy; baked French toast; and rack of pork, roast beef or a whole chicken roasted and carved tableside. When To Go. Brunch occurs 11 a.m.-2:30 p.m. Saturday and Sunday. Why We Love It. 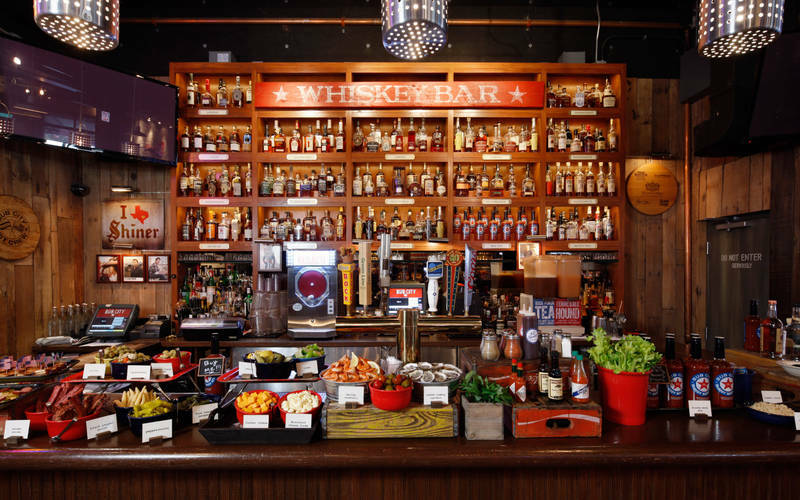 A collaboration between Four Corners Tavern Group and Brendan Sodikoff's Hogsalt Hospitality Co., SteakBar is in Old Town. The multi-level restaurant is on the more casual side opposed to the higher-end steakhouse options that have opened around town of late, with cocktails on draft, steak nachos and Fireball-infused Old Fashioneds. What To Eat/Drink. 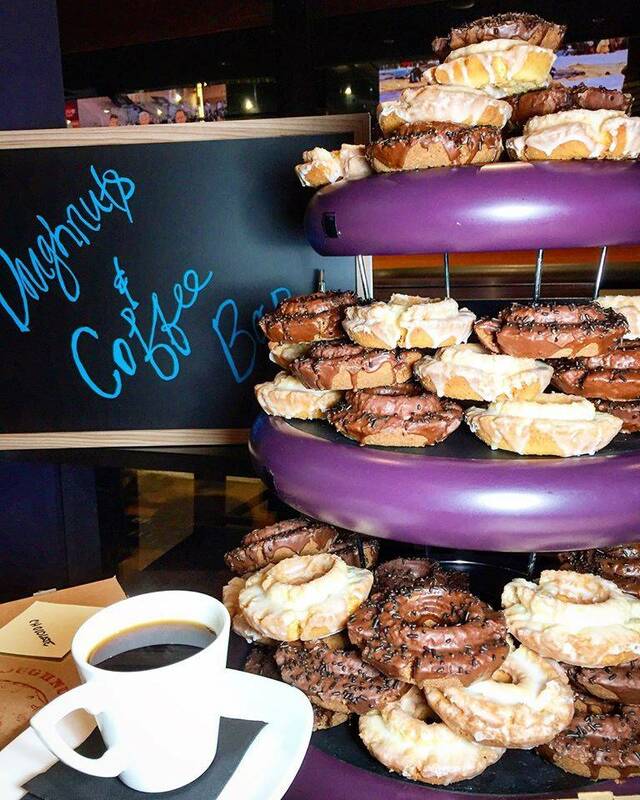 The weekend "Almost Famous" brunch ($35 per person) consists of a Nutella crepe station, butcher shop, benedict and omelet station, boozy donuts and more. When To Go. The event takes place 10 a.m.-3 p.m. Saturday and Sunday.